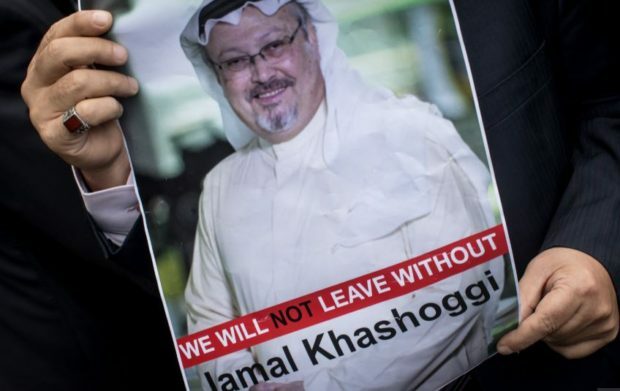 Germany’s leading right-of-center daily Die Welt this morning reveals that Jamal Khashoggi was not a journalist, but a high-level operative for the Saudi intelligence service, an intimate of Osama bin Laden, and the nephew of the shadiest of all Arab arms dealers, the infamous Adnan Khashoggi. John Bradley reported last week in the Spectator that Khashoggi, who allegedly met a grisly end in a Saudi consulate in Istanbul, was a member of the Muslim Brotherhood, the Islamist organization that among other things wants to replace the Saudi monarchy with a modern Islamist totalitarian state. Figures he’d be working for the Washington Post.